A Knight of The Seven Kingdoms is a collection of the Dunk & Egg short stories, which are an amazing prequel to the A SONG OF ICE AND FIRE series. After Alice is a retelling of Alice in Wonderland, written by Gregory Maguire, the king of retellings. YOU NEED BOTH. YES, YOU DO. Winners will be drawn and notified Monday 12/October/2015! For the international people, here’s two iphone wallpapers (shoddily made sorry!) to apologise for the region restriction on the giveaway 😀 I have another international giveaway running HERE! I have been a terrible blogger of late, I’m working a 50 hours week this coming week so it probably won’t be improving anytime soon… BUT I SHALL BE BACK. 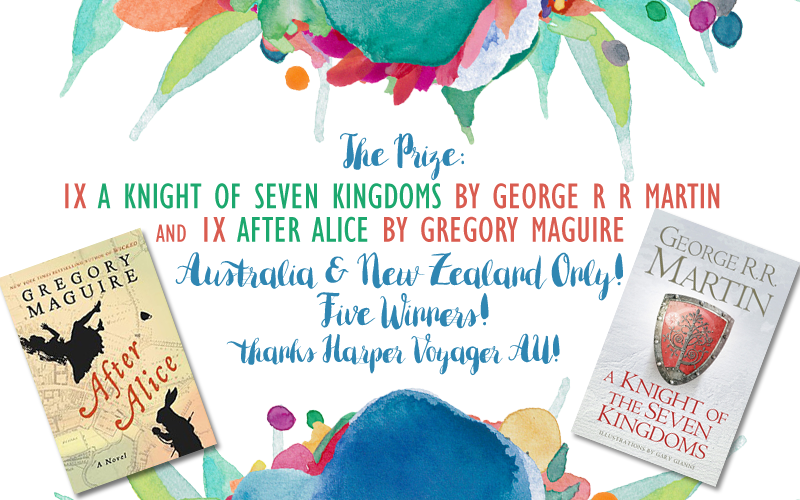 Thanks for hosting this lovely giveaway ❤ Harper Voyager could not have chosen a better person to host. Ooh, After Alice looks really interesting! OMGGG I NEED TO READ THE GRRM BOOK SO BAD. And I didn’t even know it existed. o.O and omg, why is he writing prequels when we need book 6?!?! SERIOUSLY NOW. Awesome giveaway! 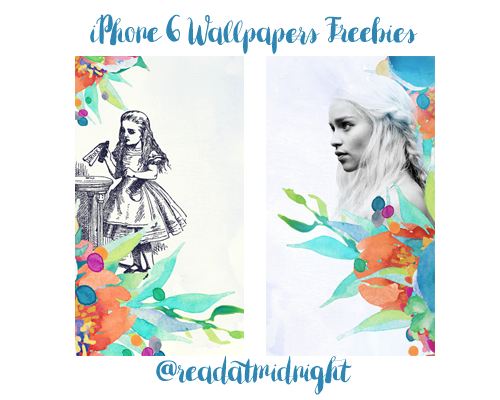 Though I can’t join *sad face*, I love these wallpapers you created, Aentee! I can’t believe you work 50 hours a week. That is INSANE O_O I would have fallen over ages ago. Also, thanks for the awesome giveaway!